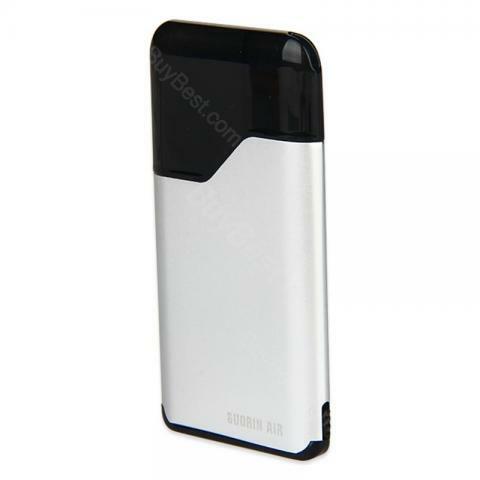 Suorin Air Starter Kit with portable size, Small and stylish. It integrates 400mAh battery and 2ml black cartridge. There is a USB interface and power indicator light at the bottom, it can be fully charged in 30 mins. 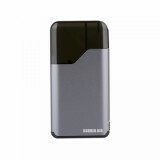 Suorin Air Starter Kit with portable size 86(H) x 43(L) x 8(W) mm like a mini cigarette lighter, Small and stylish. It integrates 400mAh battery and 2ml black cartridge. The traditional off and on key is in the lower right corner, at the bottom, there is a USB interface and power indicator light, Suorin Air Starter Kit can be fully charged in 30 mins. 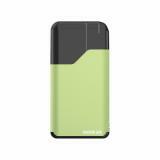 In addition to the elegant look, the Suorin Air can be lit in six colors to choose. If you want to give a gift to a girl or try to start using the e-cig, Suorin Air Starter Kit is your best choice. This lil guy is Awesome! It's so small and sleek! Works every time. Flavor is outstanding. Battery life is outstanding. 2 mil tank lasts a couple days for me, an all day vaper. It even throws a pretty decent little cloud! Charges quickly too! It's great. Buy it. 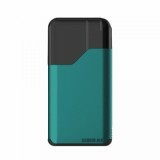 The Suorin Air Starter Kit is good, easy to use. Great device. I bought mine at a vape shop and paid nearly twice as much than I could have gotten it here. Lesson learned. This is my first time shopping Freedom Smokes, but plan to a return customer! Battery is decent for being so small. Highly recommend this for people who would like a small indescreet device to use. Suorin Air is a great device. Very easy to use. Works well. Have used a few pods with no bad flavor and no leaking issues. Pods have lasted around a week with pretty heavy usage. I also have tried the salt nics that are recommended to use with this and the flavour is awesome. Small, comfortable and powerful, the Suorin Air battery can last a long time. Everything was great! I received it very fast, and everything was packaged nicely. Will buy more things from this store again.